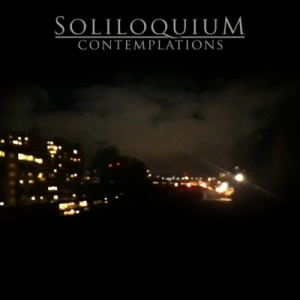 Capable of grandeur and brilliance, but also just a little too familiar in places, Soliloquium's sophomore ends up a bit of a mixed bag. Soliloquium. Just another Scandinavian Death/Doom act? Well, yes and no, really. It's true, they are from Scandinavia but it cheapens their obvious ability and the forthright execution of the music to add the prefix just to that description. 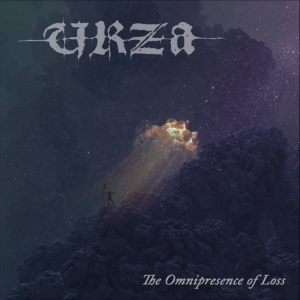 The band openly declare their influences to be the likes of Katatonia, Paradise Lost and October Tide, and indeed the latter two of those bands were in the notes I made while listening to 'Contemplations' for the first time. They also list Anathema, but lets not go down that particular path. Rather, lets think in terms of acts like Torrens Conscientium and other good, but relatively obscure acts on labels like Solitude Productions and GSP. Dwelling on Katatonia for a second, if you were to imagine a beefed-up version of 'Night Is The New Day' with October Tide's growling vocalist, along with a liberal helping of the dramatic and bombastic sensibilities of 'Draconian Times'-era Paradise Lost then I don't think you'd be far off the mark. Throw in some of Funeral's latterday accessibility and a pinch of Anathema's watery vocals from 'Judgement' and you're about there. Sounds like a bit of a car crash of over-familiarity, but it's actually quite good, at least it is to begin with. There's obviously a sense of the melancholy about it. I mean, it's Death/Doom right? But at the same time there's quite an Epic feel to much of it. Particularly in the opening two or three tracks. 'Prophecy' and '22' sort of break that spell with some smoother, more reflective passages along with cleaner, emotional vocals reminiscent of Italy's Apneica. Actually, '22' sounds like something Alcest might have forgotten to record. As far as it looks and sounds, 'Contemplations' is excellent. 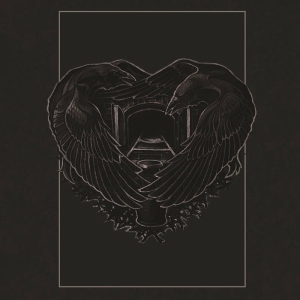 Well written, well executed and a production that most bands of their ilk would die for. So, what's the issue? Well, for starters, you can see how many reference points there are in this short review. There are just too many soundalikes for Soliloquium to stamp their own mark and offer something worthy of more than a few average sounding plaudits. As pleasant enough a listen as it is, the biggest issue for my ears is that the album loses a fair bit of steam halfway through. 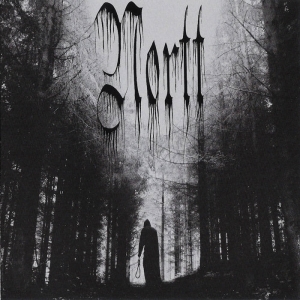 It could be it just begins to sound too familiar after a while, but what it definitely does do is become more about silky atmospherics rather than the epic and confident Death/Doom posturing that kicked the album off in such great style. Which was what piqued my interest to begin with. It does pick up slightly towards the end, but it never really recaptures the grandeur and brilliance of those opening tracks.